The influential investing magazine Barron's has an unflattering story about Chinese e-commerce giant Alibaba on the cover of its latest issue. And Alibaba is not happy about it. Alibaba (BABA) wrote a rebuttal to the story -- which has the headline "Alibaba: Why It Could Fall 50% Further" -- and urged the publication to print a correction. Alibaba, in a letter to Barron's editor Edwin Finn, cited what it felt was a "lack of integrity, professionalism and fairness" by the author of the piece, Jonathan Laing. Specifically, Alibaba felt it was unfair for Laing to compare Alibaba's valuation to eBay (EBAY) since eBay is not in China. It also questioned Laing's assertion that competitors were "eating into the market share" of Alibaba. In addition, Alibaba defended its financial reporting standards about its user statistics, its corporate governance and its efforts to crack down on counterfeit goods on its Taobao and Tmall marketplaces. Finn and Laing were not immediately available for comment about Alibaba's letter. So far though, the market is agreeing with Barron's. Shares of Alibaba fell 4% in early trading Monday ... a continuation of a steady and painful slide for the stock this year. Alibaba is down more than 40% so far in 2015. The stock fell below its $68 initial public offering price on August 24 -- the day that the Dow plunged more than 1,000 points before rebounding a bit. 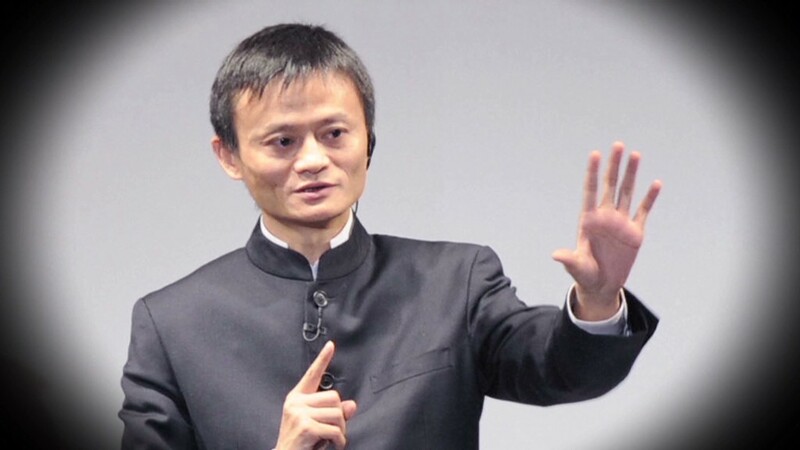 Alibaba hit a low of $58 that morning. It's a bit curious that Alibaba would choose to fight back. Often, when companies publicly complain about how they are portrayed in the media, it smacks of desperation. Many shareholders would rather see a company's management keep its head down and focus on managing the business instead of attacking reporters who question the stock price. It doesn't make Alibaba look good to be suddenly acting like Nicki Minaj and Meek Mill and engaging in feuds with people who criticize them. What's more, the Barron's piece did not necessarily break any new ground. Investors have been concerned about Alibaba's valuation since it went public nearly a year ago and surged 38% on its first day of trading. At one point, Alibaba, which is still worth $154 billion, had a higher market value than Walmart (WMT) and Amazon (AMZN). Alibaba has also been hit by worries about the economic slowdown in China and market volatility there. Sales growth in its most recent quarter slowed to 28% from 44% a year ago. The company does face increased competition, particularly from JD.com (JD), which is backed by the Chinese mobile giant Tencent (TCEHY) and Saudi Prince Alwaleed bin Talal. And questions about corporate governance have plagued Alibaba for years. In fact, Alibaba wound up listing its shares in the United States instead of Hong Kong because Hong Kong's exchange was concerned about how much control Alibaba co-founder and executive chairman Jack Ma and other partners have over the company's board. "The story reads like the greatest hits of the Alibaba bear case," said R.J. Hottovy, an analyst with Morningstar. Hottovy said he understands why Alibaba is upset. He thinks the comparison to eBay was "silly" and also disagreed with Barron's claims that Alibaba may not be accurately reporting how many users it has and how much money it spends annually. But Hottovy did think that investors have reasons to be worried about Alibaba. "The larger issue is slowing consumer spending in China," he said. There's little Alibaba can do to dispute that.